The road along the ocean from Nha Trang to Quy Nhon in central Vietnam has been named one of the most spectacular in Asia along with others in Japan, China and Uzbekistan by travel website Tripsavvy. The 134-mile road is no stranger to adventurers. 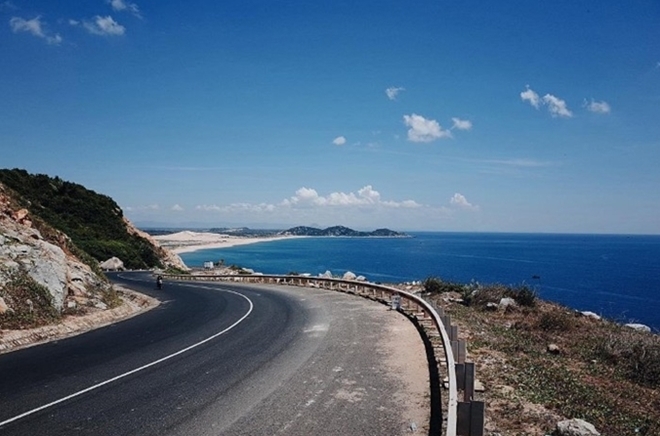 It is often hailed as one of the most beautiful sightseeing roads in Vietnam and indeed Asia. On one side is the deep-blue sea and on the other is a combination of mountains and forests, and it is obviously best to traverse this road on a sunny, breezy day if you want to give your senses a treat. There is also a lot to enjoy along the way. For adventure seekers, it has the longest mountain pass in the country. For vacationers seeking relaxation, there are a lot of stunning golden beaches. Tourists can explore some lovely little towns and villages along the way. If you want to get the most out of this road, consider joining a festival in which people drive along the route together and celebrate every two years. Also on Tripsavvy’s list are the Karakoram Highway (China), Hokkaido Scenic Byways and Golden Road to Samarkand (Uzbekistan).